Donaubühne (Danube Stage) names a venue, as well as a festival, staged every July and August and is located on the river Danube’s shore. 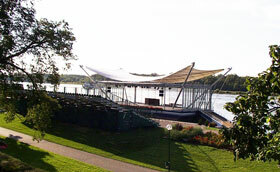 The Donaubühne (Danube Stage) is not only Austria's largest river stage. 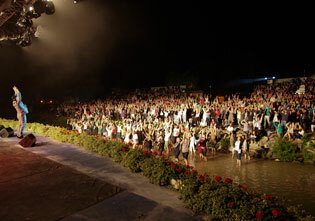 It is also the only Open Air Summer Stage that can claim to meet the artistic taste of a complete region. Whether operetta, pop, rock, musicals or cabaret, each producer has his or her own speciality - which allows us to offer incredibly diverse programs each year! 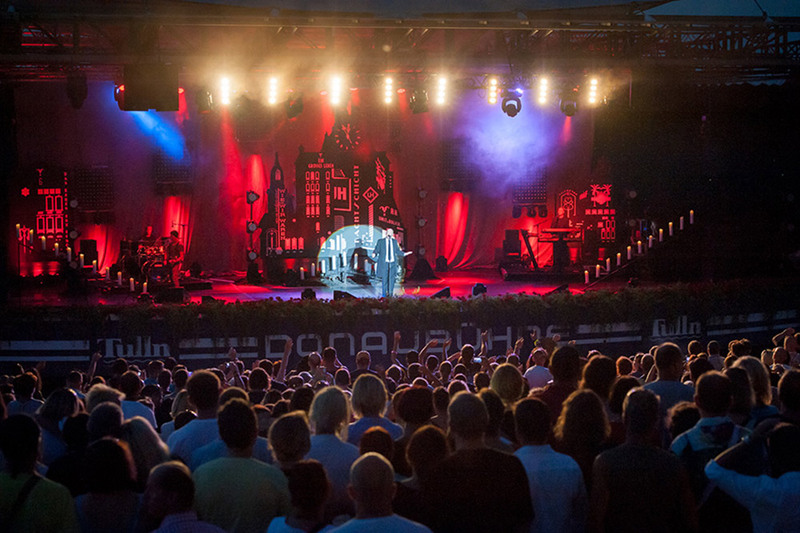 Since the Donaubühne dropped its anchor in Tulln in 1999, it has evolved into a crowd-pleaser and a first-rate attraction! 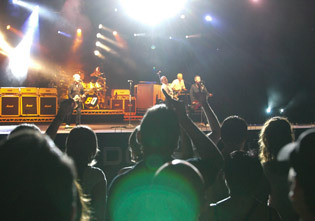 With the stunning backdrop of the river Danube, the audience is offered a broad mix of international stars and local acts in the summer months. 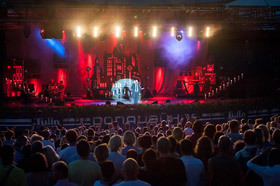 In recent years stars including Jamie Cullum, Van Morrison, Mick Hucknall, Joe Cocker, Status Quo, Yamato - The Drummers of Japan, Konstantin Wecker, Goran Bregovic, Kurt Ostbahn, Christina Stürmer, Wolfgang Ambros and more have graced the Donaubühne as guests. Cabaret evenings, starring Michael Niavarani & Viktor Gernot, Helge Schneider, Roland Düringer, and Alfred Dorfer, opera and musical productions, such as "Nabucco", and choral events, including "Carmina Burana", have all starred on the Donaubühne! 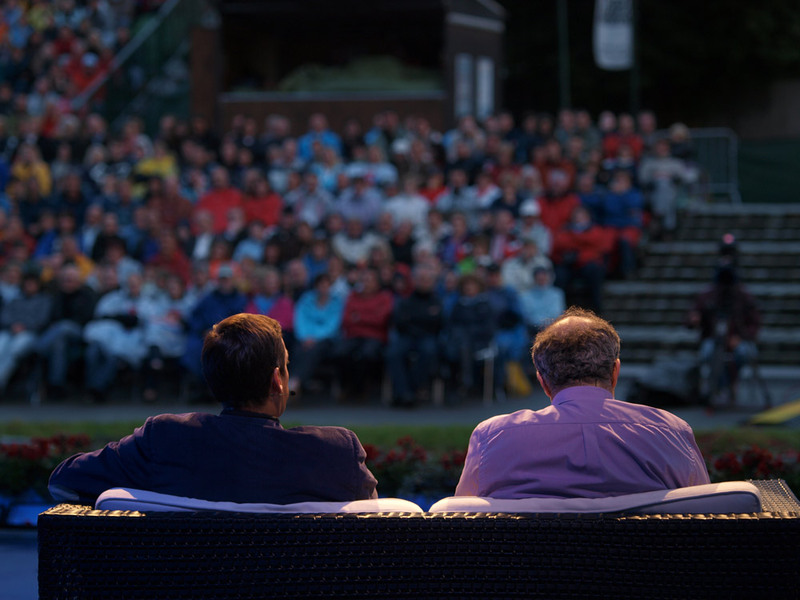 Thanks to the city of Tulln, the Donaubühne is able to offer numerous events each summer admission free! Free events include children's theatre and concerts from various genres, including young artists and bands which have the opportunity, with the help of Donaubühne, to become known to a wider audience. 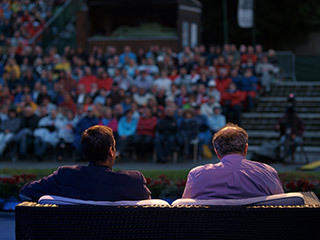 The flair of the Donaubühne: enjoying fantastic music on a warm summer evening, a quick bite to eat, and an excellent glass of wine in a gorgeous setting. The romantic ambience of the shore and the culinary range set up by the stage also ensure that visitors feel comfortable and that you will enjoy your visit to the Donaubühne to its full potential. This is not only true for the residents of Tulln - the Donaubühne has become known far beyond the country's borders and offers a wide range for tourists from around the world! Due to the central location of the stage, Tulln’s many attractions can be explored on foot, including the redesigned main square or the Egon Schiele Museum, located on the grounds near the stage. 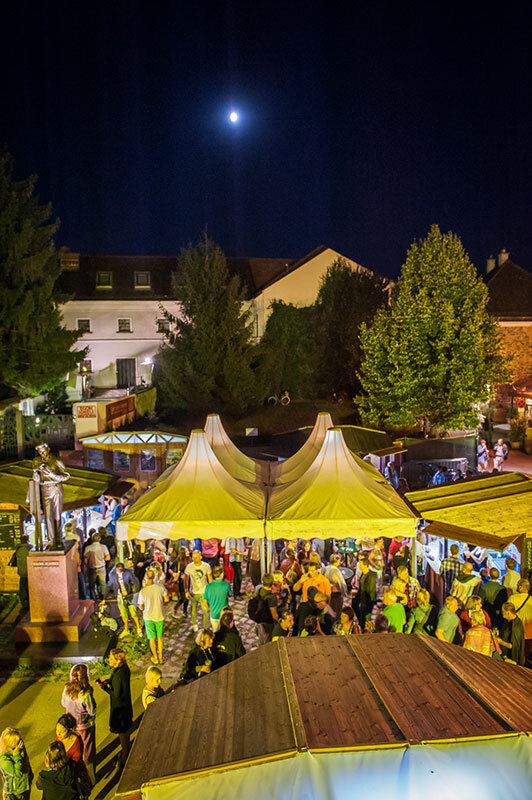 We wish you a wonderful evening in Tulln!